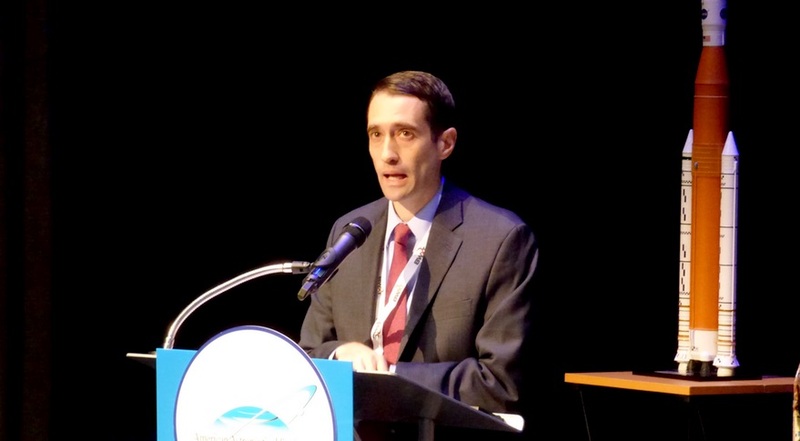 HUNTSVILLE, Ala. — The Pentagon official responsible for space policy says he expects an “exciting and interesting discussion” in Congress next year when the House and Senate take up the administration’s proposal to establish a Space Force. In a speech at the American Astronautical Society’s Wernher von Braun Memorial Symposium here Oct. 25, Stephen Kitay, deputy assistant secretary of defense for space policy, said the administration would submit a legislative proposal in February, as part of the fiscal year 2020 budget request, to authorize creation of the Space Force as a separate branch of the military. The Space Force is part of a broader reorganization of military space capabilities that also includes reestablishing a U.S. Space Command and creating a new Space Development Agency to handle space acquisition. Those efforts, Kitay said, are linked to the overall national defense strategy, including concerns about the growing threats posed by China and Russia in particular. While the Defense Department can undertake many of these planned reforms on its own, creating the Space Force will require authorization from Congress. That proposal could face challenges there, particularly if Democrats take control of the House or the Senate in next month’s midterm elections. Rep. Adam Smith (D-Wash.), the ranking member of the House Armed Services Committee and in line to take over the committee if Democrats retake the House, said last month he didn’t think the Space Force was the most effective way to improve how the Pentagon handles space. Kitay, who was previously a staffer on the House Armed Services Committee’s strategic forces subcommittee, said that in his experience there that members had a “deepening understanding” of both the importance of space to national security and the threats those capabilities face. However, he argued more needs to be done to make members aware of those issues. “We’re working to make sure that we educate Congress and the American people more about the serious nature of those threats and the importance of space,” he said. Asked about the prospects of getting Congress to approve a Space Force, Kitay declined to offer a specific assessment. “I think it’s going to be an exciting and interesting discussion” there once the administration delivers its legislative proposal, he said. Kitay said the need to educate about space threats extends beyond Congress to the broader public, who he believes don’t fully understand the importance of space to national security and thus are subject to “misinformation” about what a Space Force would do.